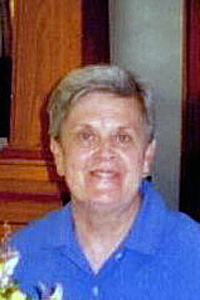 Mary Heck, 92, of Webster City, died Friday, January 25, 2019 at the Marian Home in Fort Dodge. Funeral services will be held at 11:00 a.m. on Thursday, January 31, 2019 at Foster Funeral and Cremation Center with Pastor Jeff Flagg officiating. Burial will be in Graceland Cemetery. Visitation will be one hour prior to the service at the funeral home. Mary L. Stell, daughter of David and Ada Courtwright Stell, was born September 27, 1926, at Fort Dodge. She received her education in Clare and Duncombe. She married Elmer Heck on August 25, 1946 in Webster City. Mary was employed at Electrolux, retiring in 1991 after 23 years. Mary is survived by her sister, Betty Slotten of Fort Dodge; grandchildren, Tony Heck and Jennifer Blair; several nieces and nephews. In addition to her parents, she was preceded in death by her husband, Elmer; son, Larry “Butch” Heck; brothers, Richard, George, Art, Johnny, Harold, LuVerne, Keith; sisters, Jean, Anna, Leona, Opal, Bernita, Connie and Edna. Mary enjoyed genealogy and hosting Thanksgiving. She loved to play cards and kept a spotless home. Her warm smile will be deeply missed by all who knew her.